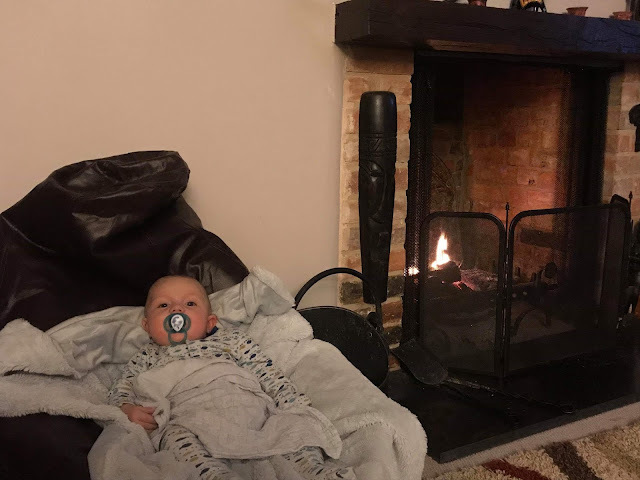 Housesitting, horses & a 4 month old in tow: the lessons it taught me! So, as some of my friends and family may know the last week we have been house sitting for a friend. In fact we got to have a taste of what it’s like living with your horses outside your window! (Which by the way is AWESOME!) What wasn’t awesome however was the foot and a half of snow that decided to bombard us the second night we were there, we woke up and it was like we were in a different country! 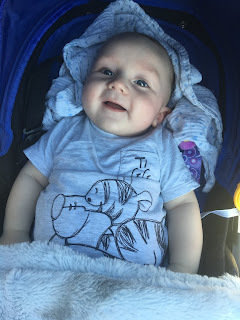 It also gave us a taste of what it would be like to go on holiday for a week with a 4 month old. As well as ensuring I had ALL my medication and supplies I had to pack all of Alberts too, including his special formula. Somehow I managed to remember everything, only bad thing? We only had one tub of formula left, but that’s okay the pharmacy put his prescription in last week as urgent so we could go get it! However, as previously mentioned, it hammered down with snow, we were staying in a beautiful farmhouse surrounded by miles and miles of fields and a 1-2mile track to the main road. So as soon as that foot and a half of snow arrived we were well and truly stuck. Uh oh! Panic! Starting to run low on formula and we were planning on going to collect the prescription (we should really start believing the weather forecast from now on..) so we ring the Pharmacy to make sure it was in and then we could ask a wonderful 4x4 owner to possibly collect it. Panic some more. They haven’t got it, cue argument with them as they were meant to of ordered it in URGENTLY LAST WEEK! Nope, they hadn’t. Great. What in God’s hell do we do now?! We take to good old Facebook of course! Yay! Lovely lady down the road had 6 tins of the good stuff she no longer uses and a lovely 4x4 owner collected it for us, phew, panic over. And that was Lesson 1 learnt: Listen to the weather forecast instead of saying ‘they’re just over reacting’ and ensure the pharmacist has ordered important prescriptions before you’ve got your last time left! Well we had lots of fun in the snow, Adam got a few days off work as his sports car (I told him not to get rid of the Land Rover!) couldn’t of even got off the driveway let alone down the track. I plodded off with my camera and got lots of snowy pictures of the horses and dog and house and trees and, well you get the idea! We went off for a walk to show Albert the snow, shouldn’t of bothered, he slept the whole walk. It was a lovely break, if slightly scary that the power might go off, and we got to have lazy time watching Netflix (no Netflix and Chill happened if ya know what I mean) and eating whatever junk food we had. The snow melted away slowly and we got back to normal routine. Adam got to the shop for our much needed bread and milk and I thoroughly enjoyed having my horses on the doorstep. Adam would leave for work in the afternoon, I’d watch some TV then me and Albert would mooch out to feed all 4 horses and then go for a walk with the dog (and play some Pokèmon Go..) Doing the horses with a baby taught me Lesson 2: No matter how strong and clever you think you are, you can’t carry rugs/feed buckets/hay easily while pushing a buggy. I think I should invest in a pram trailer, if there is such a thing? Or just buy a baby sling (even though I’m terrified of looking like an idiot wearing one.) Towards the end of the week I learnt another lesson when one of the lovely cats decided it wanted to play ‘chase the mouse’ and brought one in to the house, alive. Meanwhile Adam and Albert are upstairs snoring away and all I wanted after getting battered with wind and rain doing the horses was a bloody coffee! But no, I had to catch a mouse first. Of course once the cat had let go of it she wasn’t overly interested in getting it again. So me and Adam spend 5 minutes discussing how to catch the mouse and a lunch box seems like the best idea. So it’s running around the kitchen and I manage to trap it in a corner and get it in the lunch box. But while all that was happening my 6ft5 boyfriend was doing nothing else but dance round the kitchen like a child playing lava. So Lesson 3: No matter how great my boyfriend is with spiders and bugs, he can’t cope with a mouse. All in all it was a great week and Albert didn’t seem to notice we were somewhere different, he was his normal happy self! I missed our underfloor heating (the Farmhouse flooring was FREEZING!) but absolutely adored being able to see my horses from the window. Checklist for when we go away or house sit again; 1- Ensure you have a years worth of formula with you. 2- Buy a baby sling. 3- Take a mousetrap. 4-Only do these things in the summer when there won’t be any snow! Do let me know if I’ve missed anything or if you have any ideas for next time! 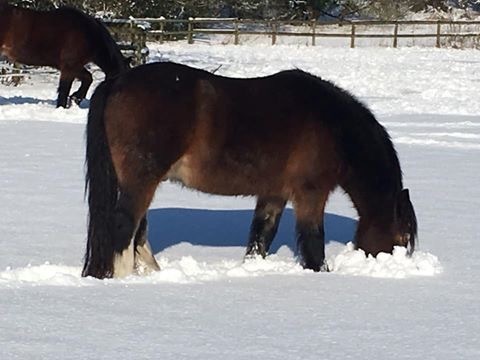 Cromwell looking for grass under all the snow! The Farmhouse we were housesitting. Adams sports car just before a foot more snow came down.